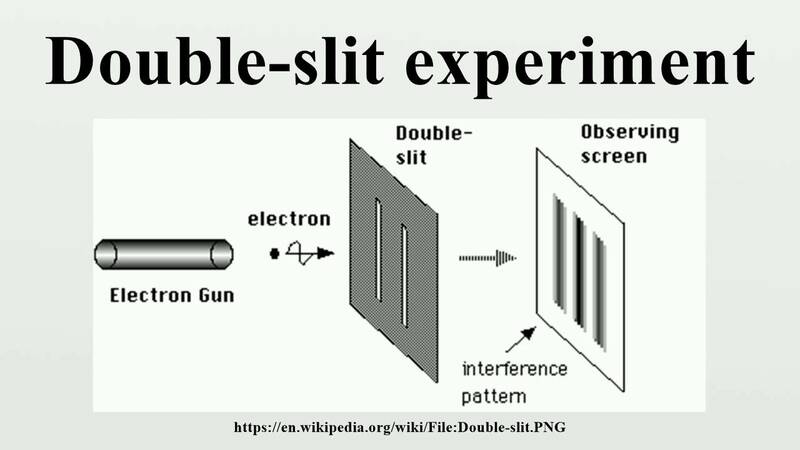 The best way to develop an understanding of the way that quantum mechanics works, and the mysteries associated with it, is to examine the double-slit experiment. In essence, quantum mechanics is the study of all things small and how they behave, the quantum double slit experiment was performed to analyse how fundamental particles (electrons) behave when they are fired at two slits in a sheet of metal. What we mean by a fundamental particle is a tiny bit of matter that is not made up of any other kind of matter. The electron is a particle that “orbits” the nuclei of atoms, as far as we know atoms contain electrons, but electrons are not made up of anything – it has no parts. This description of the electron however lends itself to imagining the electron as a kind of tiny, hard, spherical marble. We shall soon see however that this picture of the nature of the electron leads to baffling problems. An electron is fired towards a thin sheet of metal with two vertical slits cut into it. Behind the sheet is a screen which records the positions where electrons strike it. If an electron strikes a particular point on the screen, that part of the screen lights up. If you fire a large number of electrons toward the screen, then the resulting pattern of bright dots is what’s called an interference pattern. Now imagine you’re doing this experiment, but with the apparatus half-submerged in a water tank. The gun is replaced by a wave-maker that sends out water waves from a point. 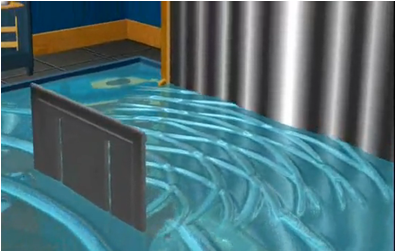 These waves then approach the screen through the slits and the screen measures the intensity of the waves that reach it at each position. A brighter spot on the screen implies a greater intensity of waves has hit that position. It was widely believed before the double-slit experiment was performed that light was a kind of wave propagating through the luminiferous aether, in the same way that water waves propagated through water. It came as no surprise then that light produced the same kind of interference pattern as water waves did. Based on the above, and that we naturally believe electrons to be tiny particles, we would assume that performing this experiment on electrons would produce a particle interference pattern. But this is where the mystery begins, electrons produce a wave pattern, not a particle pattern! Well this is not what was expected, but perhaps we can make some sense out of this fact? It turns out that this is extremely difficult to accomplish, and is one of the central reasons why quantum mechanics is so difficult to comprehend. For example, we expect that electrons have definite positions at any particular time, waves however are spread out over space, you can’t assign a meaningful “position” to a wave. See the next article for a discussion of how we try to interpret the results of this experiment. I learned this when I watched What The *Bleep* Do We Know (have watched a few times in fact). Even without a lot of the understanding, I still find it fascinating.